This Halloween find unique and spooky decoration ideas for your pumpkins. 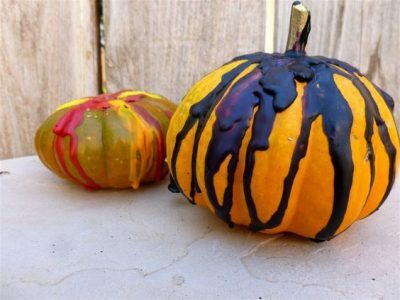 You can try this cool melted crayon pumpkin ideas which require no carving. This craft is easy to make and is a fun project for kids and adults. 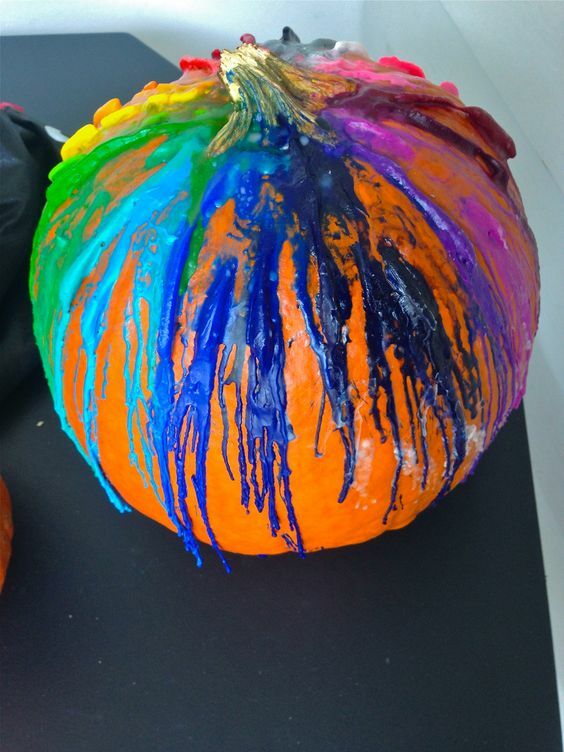 The melted crayons gradually drip down due to the heat, creating fun patterns on the sides of the pumpkin. 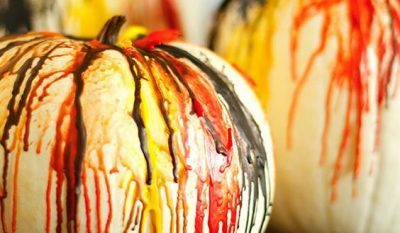 This color splatter might turn out to be a bit messy at times, so you can use some sheets or newspaper below the pumpkins while making this. A crayon pumpkin is easy to make and you can create them in all sorts of colors from Halloween colors to rainbow colors and beyond! 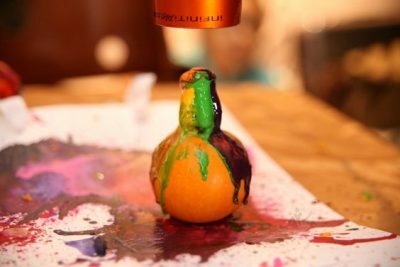 Learn interesting techniques about how to melt crayons on a pumpkin to decorate it. 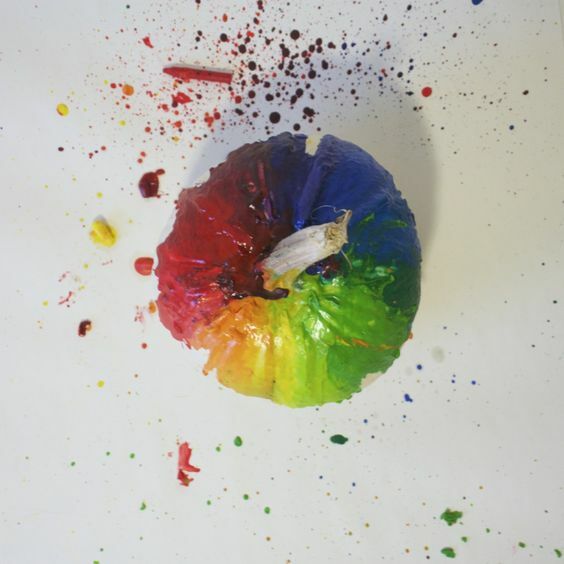 This DIY tutorial uses a faux white pumpkin to get the best effect with melted crayons. 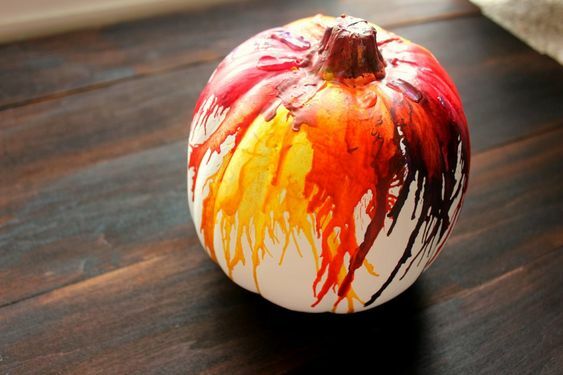 This is quite an easy yet creative idea to make your own no-carve pumpkin. 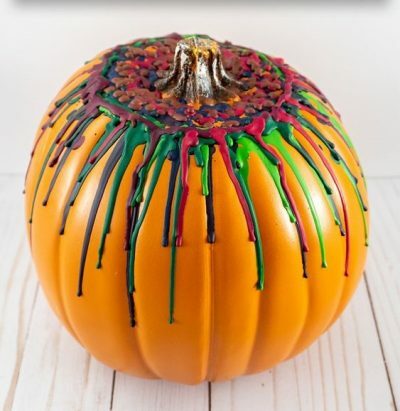 All you need to do is get some old crayons and stick them on the top of the pumpkin near the stem with a hot glue gun. Use your hairdryer and have fun watching the crayons melt and make beautiful designs. These mini pumpkins are decorated with melted crayons but with a unique twist. 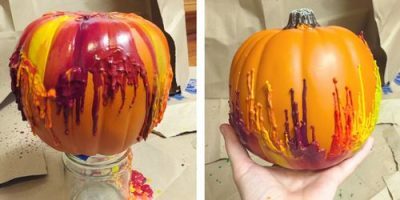 A fun craft activity which will make amazing and spooky decorations for the Fall and Halloween. You can use different sizes of pumpkins to make a classic arrangement. 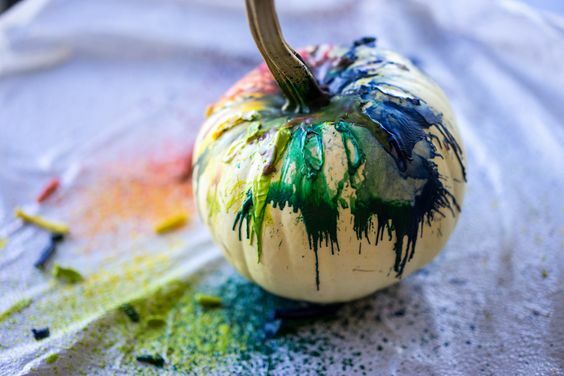 This is such a fun and easy craft ideas for kids and adults too. This Fall, try melting crayons to make beautiful pumpkin decorations. If you are done with the conventional orange, white and black pumpkin ideas, try this rainbow colored pumpkin with melted wax or acrylic crayons. The scattered pattern looks creative and gives your Halloween decor an artistic touch. 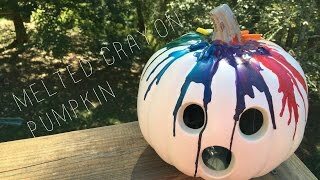 This Youtube video tutorial will guide you with step by step instructions to create this carved pumpkin by melting crayon colors. 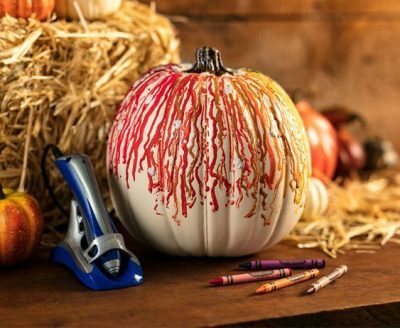 Now kids can easily use their old and broken crayons and give them a new life with this Crayola melter. Make amazing patterns on a pumpkin with this for this autumn and decorate them creatively. Using black colors will add to the spooky effect. 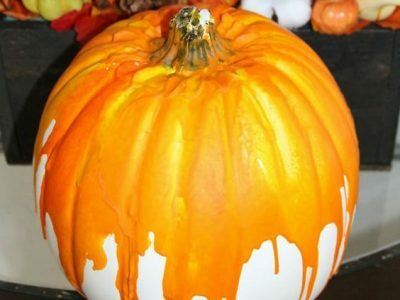 If you’re looking for a fun autumn craft with a twist for your Halloween centerpieces, then you will love making this crayon-drip pumpkin project.